When the president-elect "secretly" announced his choice for secretary of defense in front of thousands of people and the media, he didn't use the future cabinet member's official name. 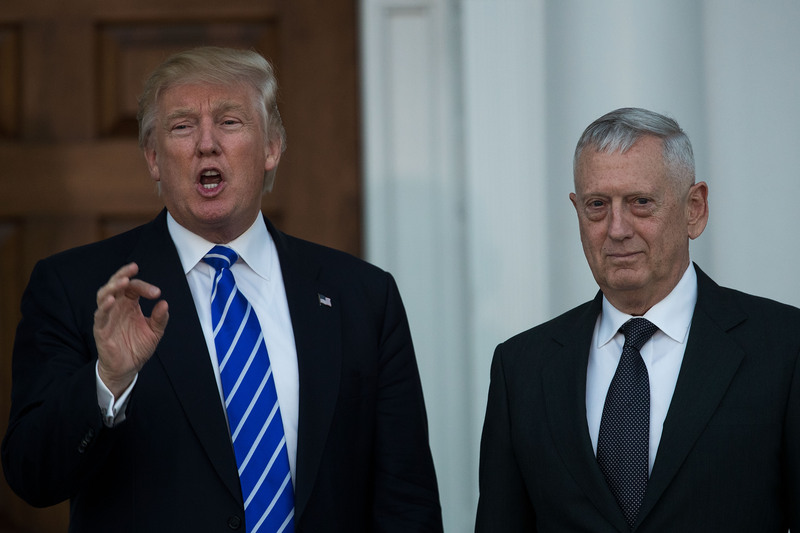 Donald Trump shouted, "We are going to appoint 'Mad Dog' Mattis as our secretary of defense. But we're not announcing it until Monday so don't tell anybody." So, what does James Mattis' nickname, "Mad Dog," mean? Also, how did the nickname come to supersede the general's birth name? If one of Mattis' most memorable lines — "Be polite, be professional, but have a plan to kill everybody you meet" — is any indication, a nickname that conjures up images of a pugnacious junkyard dog makes sense. According to CNN, the "Mad Dog" nickname arose during the Gulf War in 1991 when he led combat forces. Mattis was referred to as "Mad Dog" again for his service in the 2004, when he led British and American troops in the battle of Fallujah, Iraq. Mattis isn't only known for his work on the battlefield. As the BBC wrote of the retired four-star general, he "co-authored a counterinsurgency manual, which was credited for easing sectarian violence in Iraq before the US withdrawal in December 2011." Mattis has two other lesser known nicknames, "The Warrior Monk" and "Chaos." The former originates from the fact that he is a war history aficionado and a 66-year-old bachelor. The latter was Mattis' call sign when he led a division of the marines during the Iraq War, according to the Washington Post. "I come in peace. I didn’t bring artillery. But I’m pleading with you, with tears in my eyes: If you f--k with me, I’ll kill you all." "It’s quite fun to shoot them, you know. It’s a hell of a hoot. It’s fun to shoot some people." Mattis is also, apparently, not a fan of PowerPoint, saying at a military conference in 2010, "PowerPoint makes us stupid." Among his many quotes, there is one that I personally hope that Mattis stresses in the White House, should he be confirmed as defense secretary: "Engage your brain before you engage your weapon."